Batman, Superman, Wonder Woman and Spiderman were all in attendance—no, we're not talking about an Avengers meets Justice League convention. It was, in fact, the 100th day celebration of little Isabelle Choo, and the party was themed Superheroes. 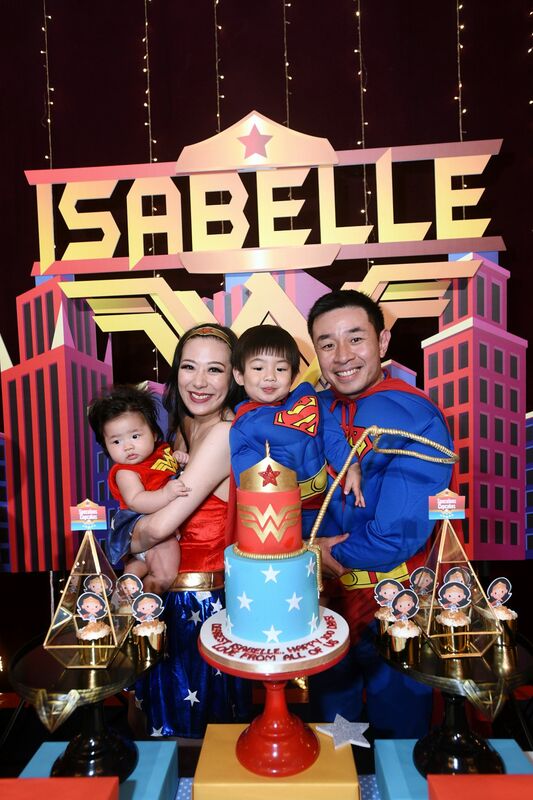 The tiny tot herself came decked in a Wonder Woman costume, matching her mum Stephanie Lee, while her brother Max Choo was Superman for the day, same like dad Choo Ken-Yi. The convivial parents hosted an activity-filled party, which saw the Island Ballroom at Shangri-La Hotel, Singapore, transform into a mini wonderland. The young (and the young at heart) were kept entertained with a myriad of entertaining activities, while adults were nourished with a hefty buffet comprising both local and international delights, as well as free flow wines, champagne, whisky and sake.